ARE YOU READY FOR CANNABIS PROPERTY LENDING ??? 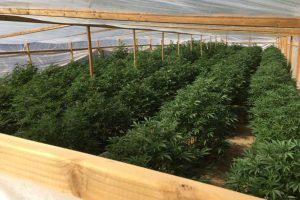 A prospective cannabis grower calls you for a purchase mortgage loan on a 20,000 square foot industrial building she has under contract for $2,000,000 to grow weed. You look at the property information and the pictures and see twenty four foot clear span interior height, good power, dock high loading, adequate truck access and modern appearance. Looks good. Like many growers, she is planning to add a 20,000 square foot mezzanine within the existing building shell at a cost of $1,000,000 to increase footage. Cannabis cultivation takes a huge amount of power and HVAC; cost will be another $500,000. Additional improvements, another $500,000. You’re about to call your favorite private money lender (818-222-1035) since banks are very unlikely to do cannabis property mortgage loans. You’re astute, knowledgeable, and worldly . . . and reaching back to your wild college days about cannabis . . . you know a thing or two because you’ve seen a thing or two. And, you know that the first question from the lender will be, “how much will the property be worth”. Okay, bright-eyes: Do the math. And tell me, how much will the property be worth? My initial guess? Probably about $1,800,000. I hear you saying, “What????”. Well, here’s the skinny– by building the mezzanine, your borrower will probably destroy the intrinsic desirability and value of the industrial building and the other contemplated improvements will probably have no or limited future value. I’m assuming that it could cost $200,000 to someday have the mezzanine demolished and removed. So, you think for a while, call your industrial broker friend and the industrial broker says that Paul’s right. You’re not happy. So being the creative thinker and cannabis property lover and compulsive arguer that you are, you say to me, “but the property is valuable because it has the zoning and one of the limited number of the town’s use permits for cannabis growing, so it’s demand is assured”. And that, my friend, leads us to the PPP, the pot property problem. The legality of cannabis is spreading rapidly. When it becomes legal everywhere, it’s special status and increased value as pot property will disappear. Further, when Big Tobacco and the liquor industry get into the business, which is probably not that far in the distant future, the majority of pot growing will be in half million and two million square foot buildings, not 20,000 square foot buildings. The premium prices now being paid for zoned and permitted property, premium rents, and interest rates will dissipate and the 20,000 square foot industrial property and related economic factors will then become only as valuable as normal industrial property market conditions dictate. 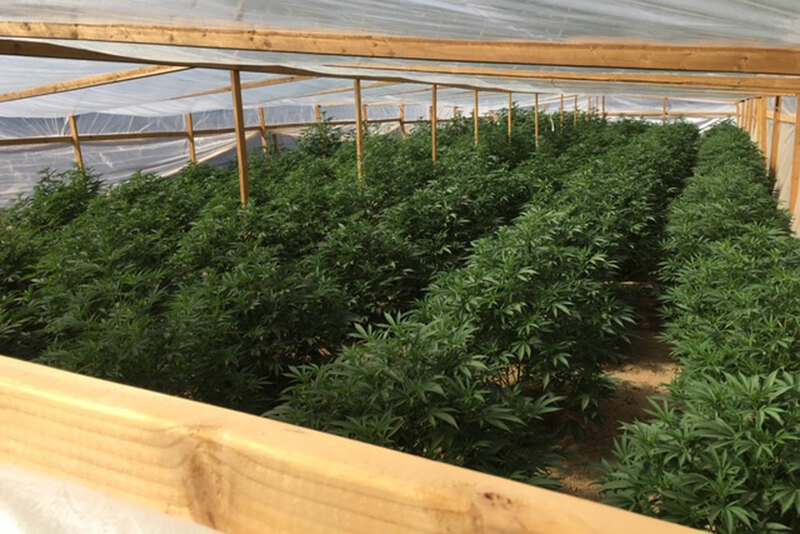 We do lots of pot loans nationwide (literally Portland, Oregon to Portland, Maine) and will appraise the property based on its intrinsic industrial or commercial or agricultural value. The building we’ve been discussing is worth $2,000,000 — less the cost of removing the undesirable mezzanine. NOW — go out into the world, armed and educated and sophisticated, and create some marijuana property mortgage deals that will actually underwrite! Call me. As Dr. Frasier Crane would say, “I’m listening”. Actually, there’s an even more universal theme here. Anytime a perfectly good property is turned into a single or limited purpose building, tread carefully.